When we look at Japan, we see a tech-savvy country that is always ahead of the game when it comes to technology. Believe it or not, however, Japan has always been way behind the West when it comes to the adoption of the smartphone. This is a trend that has finally started to change. As a result, the Japanese are buying not only more smartphones but also more apps. The sales for smartphones in Japan have increased from 28 percent to 42 percent in 2013. This is a jump that is expected to continue into 2014. As a result, the country is also seeing the world of mobile gaming explode. So what does this mean for the dedicated handheld industry, which includes consoles such as the PS Vita and Nintendo 3DS? Despite what the numbers may look like, it may not be as bad as what some people assume. Smartphones have been around for a long time in the United States. When they first came out, everyone was very excited to finally play great-looking games on their phones. However, sales for the handheld gaming industry continue to boom in the United States. Games like Pokémon X and Y, which can only be found on a dedicated handheld device have proven that mobile gaming simply cannot replace dedicated devices. People are not willing to spend $40 on a mobile game. They are only willing to spend a $1 or $2, and even that is pushing it. Most of the time, they just want little free games that they can pick up and play. The smartphone craze in Japan is reaching a boiling point much like it did in the United States. 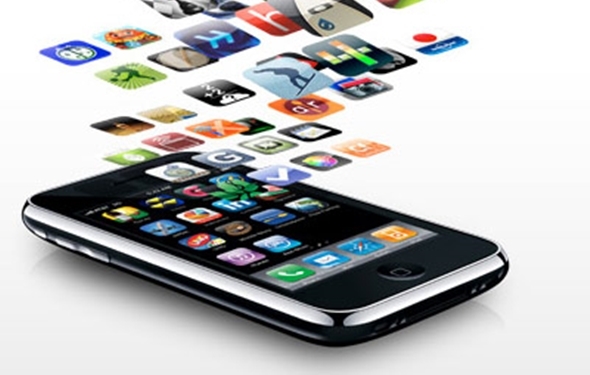 During that time, sales for apps and games on mobile devices skyrocketed. While sales continue to improve for mobile gaming in the United States, they are not seeing the increase they once were. The same is bound to happen for Japan as well. It is like that “new” toy kids get for Christmas. They are excited about it to start with but soon start to wonder what else is out there. For now, however, Japan beat out United States app revenue this year by close to 10 percent. Once again, this has to do with the fact that smartphones are pretty new in Japan and old news here in the states. Just last year, Japan spent nearly 40 percent less than what America did on apps. Just remember, the Japanese are people who like portable gaming devices. The Nintendo 3DS is huge in Japan. In fact, features like Street Pass just work better in Japan; it was designed around that culture. Sales for mobile apps and games will continue to increase, but it is very unlikely that mobile games will ever replace the games on dedicated handheld devices. Stamp On The Ground music video with a ton of video game character cameos!